Grilled Pineapple Pork Chops - only 5 ingredients! SO tender and juicy. Packed full of amazing flavor! Better than any restaurant. These Grilled Pineapple Pork Chops were unbelievably delicious!!! 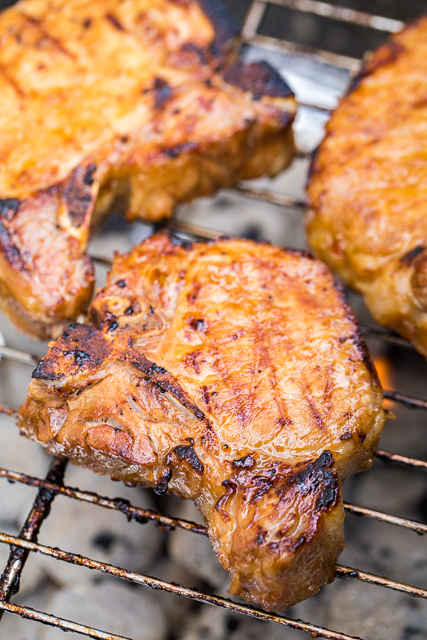 We've been making lots of pork chops on the grill this summer, and these are some of the best! They are super simple to make and they are tender, juicy and packed full of amazing flavor! 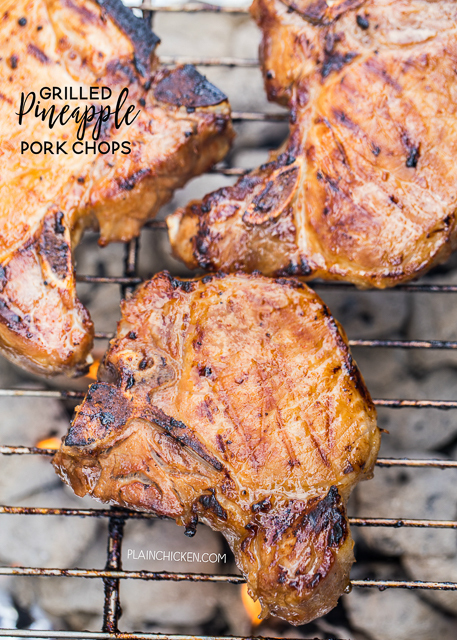 There are only 5 simple ingredients in this recipe - that includes the pork chops! We used bone-in pork chops from our favorite butcher shop. You can definitely use the marinade on boneless pork chops or a pork tenderloin. We let the pork chops overnight and they turned out great. TONS of great flavor! These Grilled Pineapple Pork Chops were even great leftover for lunch the next day. This recipe is definitely a keeper! Can't wait to fire up the grill for these Grilled Pineapple Pork Chops again! Whisk together Italian dressing, brown sugar, pineapple juice and soy sauce. Place pork chops in a resealable ziplock bag. Pour marinade over pork chops. Refrigerate 3 hours to overnight. 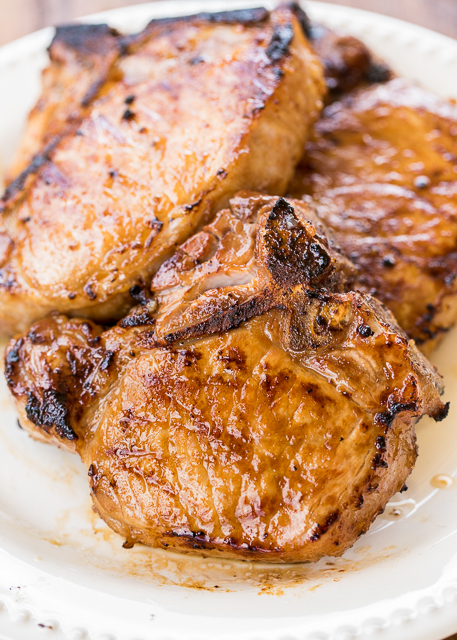 Remove pork chops from marinade. Grill until done, approximately 4 to 5 minutes per side. Trying this tonight, thanks for the recipe. I tasted the marinade & its delicious. Cooking it tomorrow. Cant wait!